Henderson earned a track scholarship and worked his way through collage as an entrepreneur and waiter at a restaurant he helped build from the ground up. He has a B.S. in Marketing and Management. 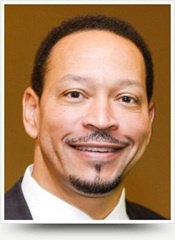 He is one of five founding Board Members for the Houston Wellness Association. He is formally Vice Chairman of the Board of Directors and past Chairman of the Complementary & Integrative Wellness Committee. Formally the owner of a benefits brokerage firm, Henderson earned the unique honor of a National Endorsements from United Way of America in 2004 after negotiating national agreements with three prominent insurance companies in a program providing “Care for the Care Givers” that became available to 1,400 United Ways and 55,000 Agencies. With a background of over twenty years in the health insurance industry, Henderson has garnered first-hand knowledge of the employee health habits that continue to drive the rising cost of benefits. Inspired by the desire to reduce the need for medical treatment and contribute to humanities next level of healthy evolution. Henderson is on a steadfast mission to encourage conscious living, engage human potential and empower individuals to exercise what is essentially self-mastery in pursuit of a higher quality of life. The purpose of the Tai Chi Community Health Challenge is to empower citizens to make a positive community impact and participate in a community wide show of solidarity for a healthy city and healthy citizens. 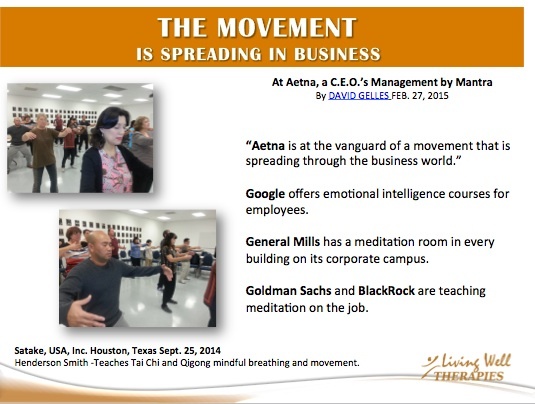 "At Living Well Therapies we believe that the foundation of good business is healthy people. 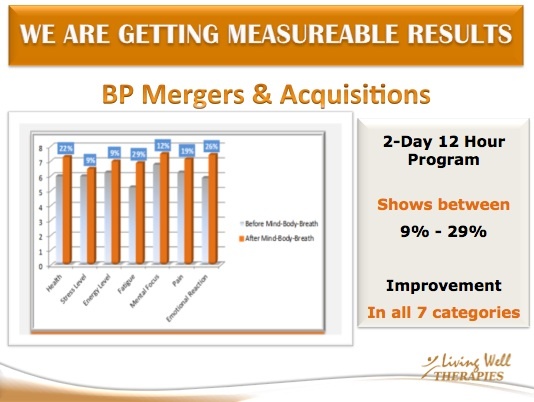 We are dedicated to increasing the value of your investment in people and creating a culture of health at your worksite." 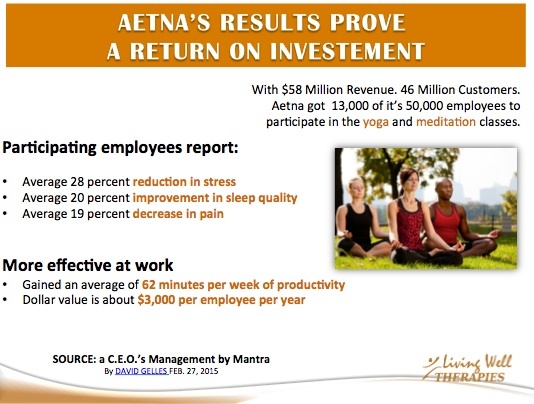 Invest in the future financial health of your company by investing in the health of your people. 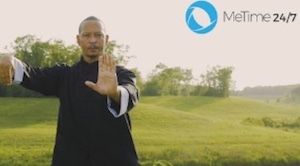 MeTime 24/7 is a visually vibrant conscious media platform delivering Qigong, Tai Chi and Meditation lessons directly to subscribers, wherever they are, whenever they need it. 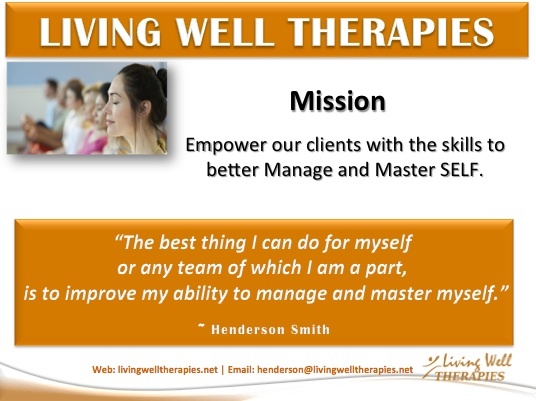 At Living Well Therapies, we believe in good health, the power of human will and the value of people as an “asset” to themselves, their family and your company. For large, medium and small companies competing in a global market, work-site wellness programs are growing in popularity as an investment because healthy productive employees increase company profits and decrease company costs. 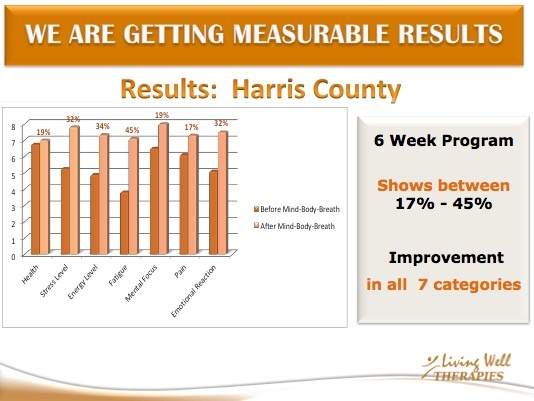 From BP and Harris County to Career and Recovery Resources, innovative CEO’s realize that the best results come from creative, dedicated people empowered to deliver their best. Insightful CFO’s are investing in people that feel good, think clearly, and make rational choices. Progressive HR directors are embracing a philosophy of prevention over treatment and self-responsibility over incentives and punishment to reduce the cost of providing benefits and boost employee productivity. 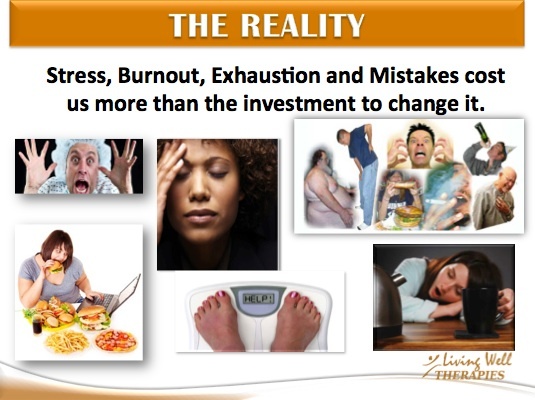 At Living Well Therapies we offer integrated work-site wellness solutions that systematically train each participant to develop the skills and discipline necessary to change the choices and habits that are affecting their health, quality of life and performance outcomes.